Despite concerns, historically speaking, this type of drop in stock prices is not that unusual. On Monday the MSCI All Country World Index (ACWI), a measure of global stock markets, was down 3 percent, after dropping 3.4 percent last week. Last night and early Tuesday morning saw stocks in Europe and Asia continue to tumble. Many market pundits were alarmed by this bout of market volatility, but historically speaking, this decline in stock prices is not unusual. It might seem so because it has been several years since we have had such a severe drop. However, global stock markets experience a significant correction of at least 10 percent in most calendar years. There is an old saying that “risk happens fast.” Just a few days ago most everyone was convinced that stocks would continue to rise indefinitely. Many investors now are fearful of how long the selling may last. What happened that turned investors’ collective mood from confidence to fear? There are several issues that could have set the stage for the current market decline. Global stock valuations are expensive versus historical averages after a nine-year bull market, but that has been true for months. Likewise, there has been a myriad of political concerns for many months. The U.S. government has instituted tariffs on certain goods imported into the United States, which runs the risk of retaliation from the targeted countries. There is also the threat that the U.S. could withdraw from the North American Free Trade Agreement (NAFTA). The two combine threaten higher costs for both businesses and consumers, reducing global growth. The Federal government was shut down for three days in January, and the next deadline for reaching an agreement looms on February 8. Meanwhile, the Congressional House Intelligence committee officially released the controversial “Nunes memo” that might make it more difficult to reach agreement on a government funding deal by February 8 in order to avoid another government shutdown. The immediate catalyst for the recent slide, however, appears to have been the news on Friday that nonfarm payrolls rose 200,000 in January, which was higher than even the most optimistic expectations. In addition, average hourly wages rose more than expected, and were revised upward for the previous month. This caused some to believe the U.S. Federal Reserve may raise rates more aggressively in 2018 to head off inflation, and interest rates spiked higher in response. On Monday the yield on the 10-year Treasury note was at a four-year high. Although yields retreated somewhat later in the day, some market strategists have noted that at times a large rise in the 10-year Treasury yield has contributed to global stock market weakness. On the contrary, the outlook for corporate profits in 2018 remains robust. Inflation and interest rates are still low compared to their historical averages, which should allow for the synchronized global economic growth to continue. Even if global stock markets exhibit higher volatility this year than last year, the environment is still favorable for stocks to move higher over the coming year. 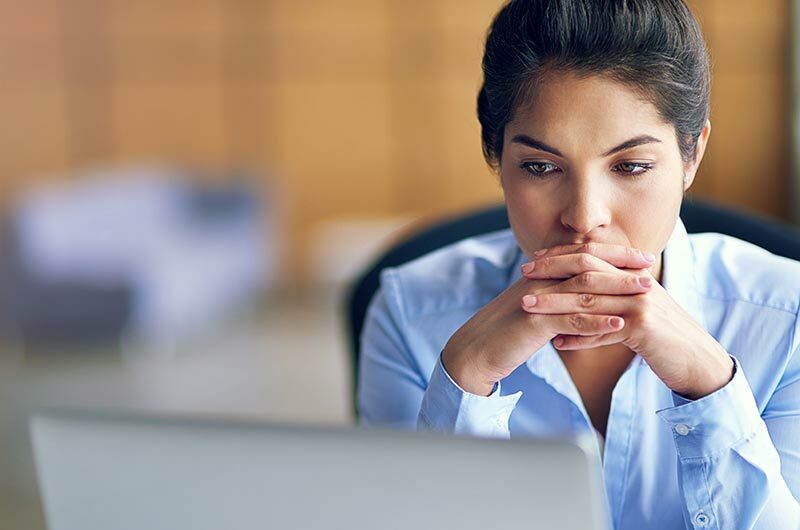 Some investors may be tempted to try to avoid additional losses by selling all or a portion of their stock positions and hold cash until things “calm down.” Although this approach might appear on the surface to make sense, it creates a very real dilemma. When does an investor decide it is time to move out of the market? Just as importantly, when does an investor get back in? Making these two decisions correctly and consecutively is extremely difficult, even for market pros. Investors who don’t get both right could hurt their chances of achieving their long-term investment goals. We believe the wisest course of action is to maintain a broadly diversified asset allocation that includes asset classes not highly correlated to stocks and bonds. A disciplined rebalancing of that asset allocation back to one’s targeted allocation should also add value. This can help cushion the impact of a downturn in those markets and help prevent an investor from attempting to predict the market, which history has shown to be almost always futile.